Welcome to my stop on the Stampin' Up! Retiring Products Blog Hop. I'm excited to be joining in on my very first blog hop! 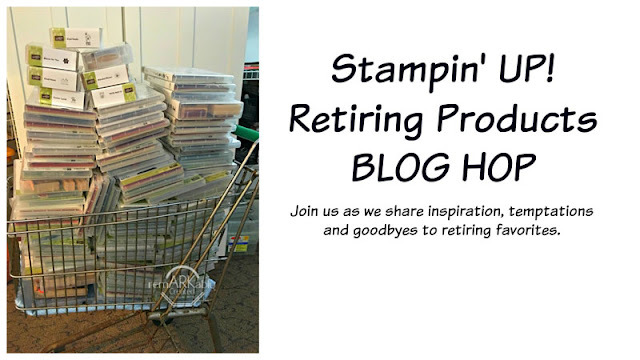 Today we are sharing projects made with retiring Stampin' Up! products. One of my favorite items has been the Large Numbers Framelits Dies. I find them so versatile! They can be used for everything from birthdays to anniversaries and so many more options. Today I am sharing a card I made that could be used for a variety of occasions - birthday, New Year's, or graduation. If you follow me on Facebook, you may have seen this card once before. I originally created it with New Year's in mind, but have held on to it because I plan to use it for a special graduate who deserves the confetti! This set of numbers is perfect for card making and scrapbooking. I have used them for 50th anniversary cards, for birthday cards with the recipient's age on the front, and for scrapbooking titles. The possibilities are endless. Don't forget that there is a matching stamp set! 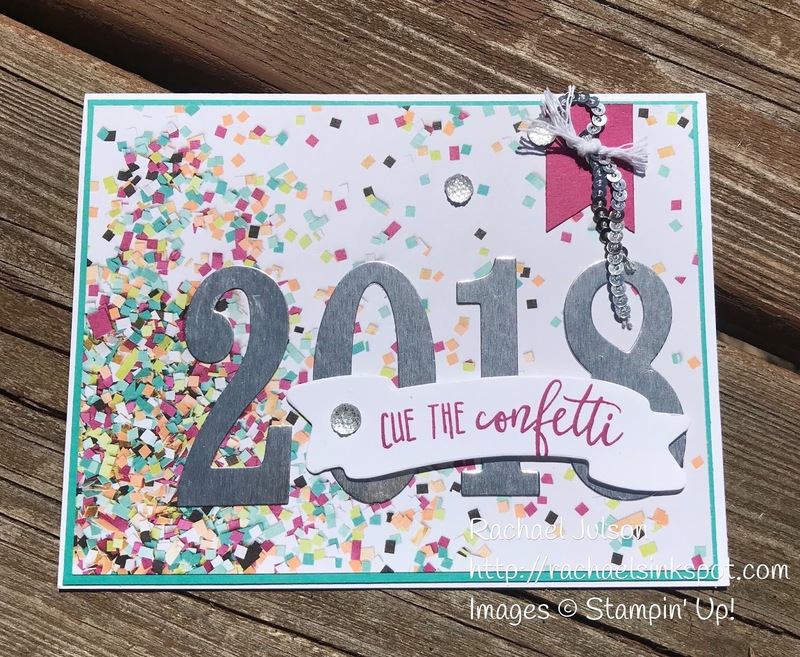 Another retiring product that you may notice is the Picture Perfect Party Designer Series Paper that I used for the confetti background. This is another one of my favorites from the Occasions catalog, and I'm so glad I stocked up because it is already sold out! The banner is from the Lots to Love Box Framelits Dies. I'm going to be so sad to see some of these amazing products leave us, but they need to make room for super trendy things in the upcoming catalog. Remember, all the items that we are featuring on our posts are only available while supplies last! I hope that I've inspired you with my bright and cheerful card, and I hope that you'll continue on to the next stop on the blog hop!